I’m not so much into holiday cards…That’s cool if it’s your gig, just not mine! I do like giving a handwritten note once in a while, especially with a gift to my children. I always buy them a small treat and a little something to go with it for Valentine’s Day. A simple way for them to wake up on Valentine’s feeling warm, loved, appreciated, and special. Currently, I am working on a quilt, so naturally, there are scraps pieces ALL.OVER.MY DESK! So here is my solution: Handmade blank notecards for the win! Tiny fabric strips at least 5.5″ long. 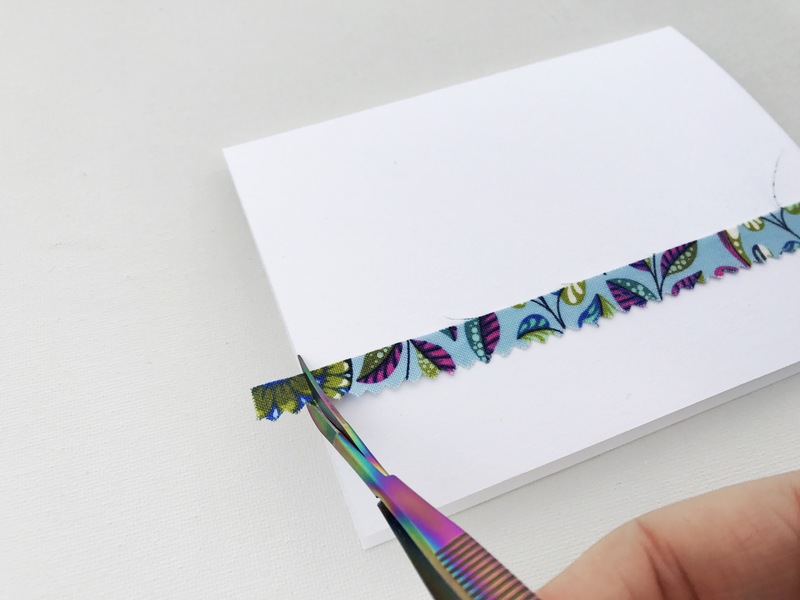 Fold the notecard in half matching the two short ends. Glue the fabric strip 1 in from the bottom of the front of the card. 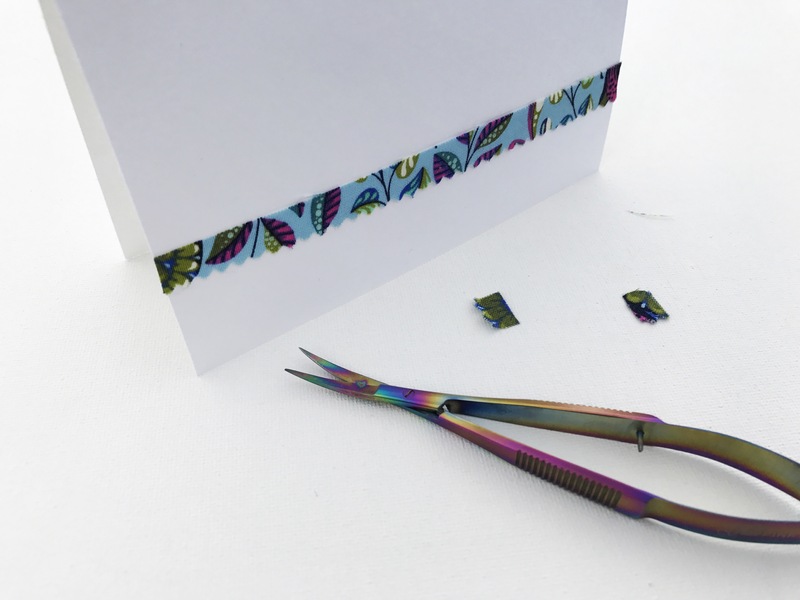 Trim the ends even with the edge of the card and any loose or stray strings. 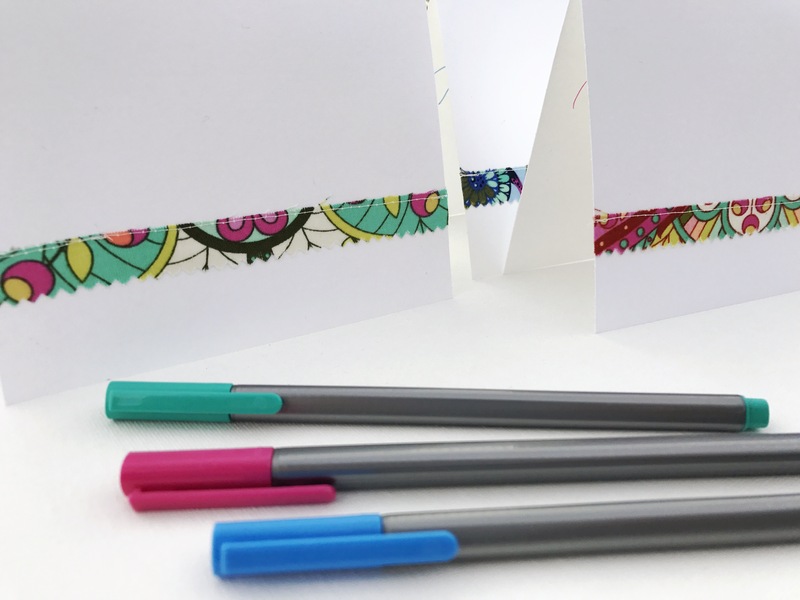 Use your favorite pens to write your own personal message inside the card!